It’s that time of the year again. Students up and down the country are eagerly curating their work in order to present it at their degree shows for the public to see. 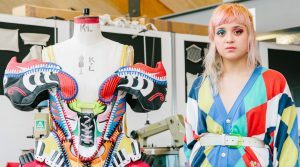 This year, for the eighth year running, global marketing communications agency network, MullenLowe Group, returns to sponsor the Central Saint Martins annual show. 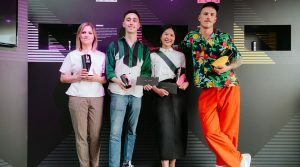 In addition to being the official sponsors of the degree shows, MullenLowe Group also runs the MullenLowe NOVA Awards to shine a light on the brightest young talent emerging from the world-renowned art, design and performance college. 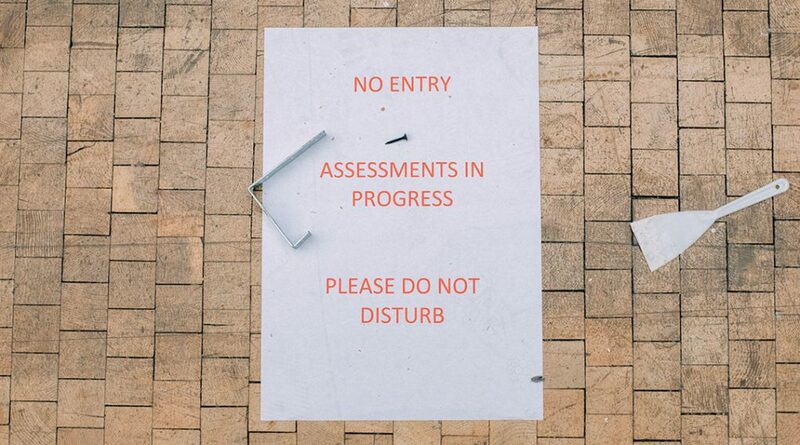 Central Saint Martins course tutors have spent the past few weeks selecting work from 1,300 graduating students in order to put together a shortlist of candidates to be judged by a panel of expert judges. The final decision-makers include creatives across a range of disciplines, including a member of the It’s Nice That team. 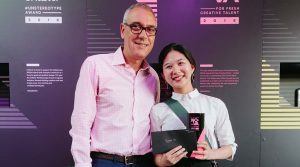 In search of the bravest, most innovative and boundary-pushing talent, just five awards will be presented to recognise the best of the best and support their creative endeavours beyond graduation. One of the awards, the MullenLowe YourNOVA ’People’s Choice’ Award, will have its winner determined by an online public vote that’s now open online until 3 July. From Fine Art to Fashion Knitwear, this year’s shortlist includes an eclectic mix of talent. Here’s a behind-the-scenes sneak peek of the students setting up for Degree Show Two. For full details and to cast your vote click here. 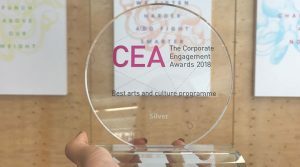 Cybi Williams hopes to prompt the art world to reconsider what fine art is and urge the artworld to adapt beyond the gallery space. Harry Henley-Freegard’s collection can be perceived as a three-dimensional collage that recontextualises core items — like socks worked into a gown — of clothing, and reimagines how they can be worn. Matt Canham’s graduate collection, hplus, is made up of six personal health monitoring devices — including a spirometer, urinalyser and finger-prick blood tester — that “aim to relieve the pressure on the patient, clinician and health service”. Hoping to spark a discussion around waste, Katie-May Boyd has created beckoning cats or Maneki-neko out of a prominent waste pollutant: expanded polystyrene (EPS). Matthew Wang’s artwork was inspired by an enigmatic envelope he received titled A Brief History of Ted Green, containing the 2016 graduation show of former Central Saint Martins student Ted Green. Montague Von Richthofen’s five minute video portrays the artist’s past year spent on the road through short, poetic statements. Shengyi Chen was inspired by the most recognisable anti-Trump trope, the pink Pussyhat, turning political events into comedic, wearable pieces. Shuna Luo’s animation tries “to visualise the invisible emotions of depression, while at the same time, making it audible”. Simon Kidd’s ceramics graduate project is representative of his home country, Northern Ireland, its “beauty, as well as its ugly past”. Stephen Bennett’s Who Saw the Deep? investigates whether art can bridge the gap between science and public decision-making. Through her chain-inspired jewellery collection, Veronika points to the possibility that women might be confined to the pre-existing identities of the “female personas of our time”. Yajing Hu’s artwork, Heartbeat, traces a heartbeat into a strip of 16 mm film and projects it at chest-height onto a wall.